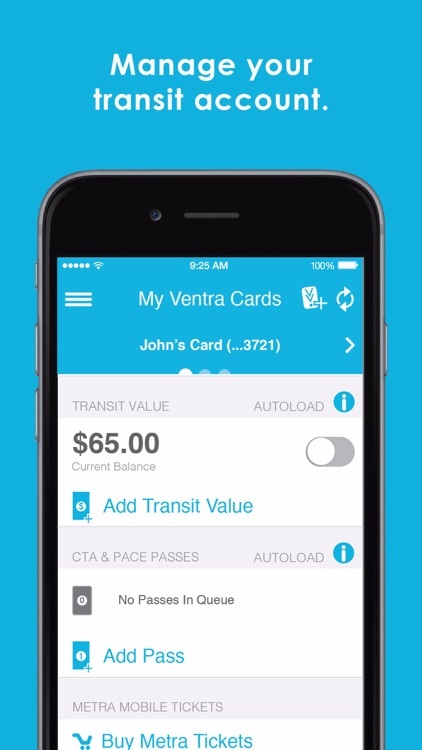 Ride CTA, Metra & Pace with Ventra: Manage your fares, buy Metra mobile tickets, get arrivals. 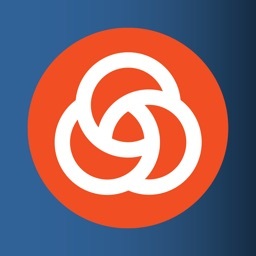 Use transit in and around all of Chicago: It's easy to manage and pay your fare on CTA, Metra and Pace buses and trains with the Ventra app. 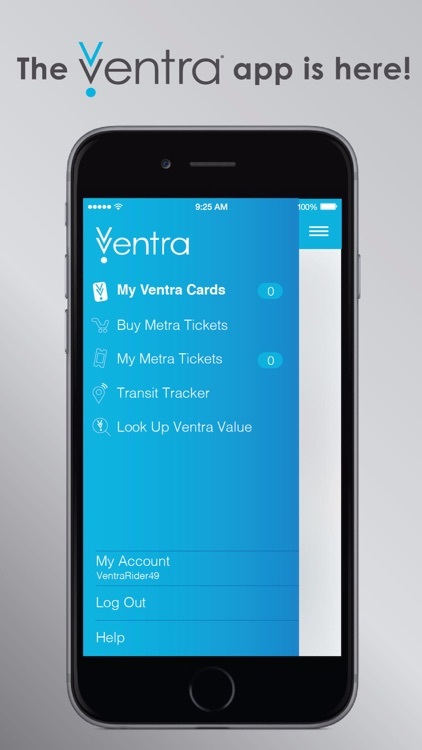 Find all the features you're used to on the Ventra website and more, including mobile ticketing for Metra trains! 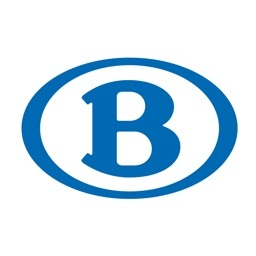 • Check your balance and available passes in your Ventra Card's transit account. 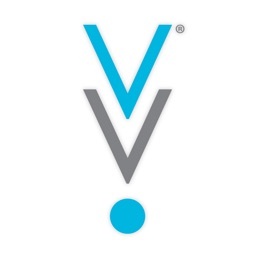 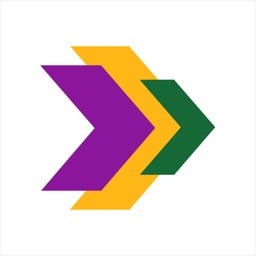 • Instantly load value or passes to your Ventra Card's transit account. 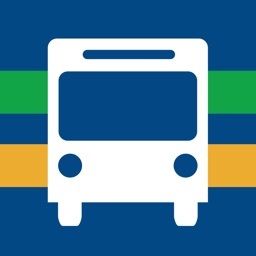 • Switch autoload for transit value or passes on and off. 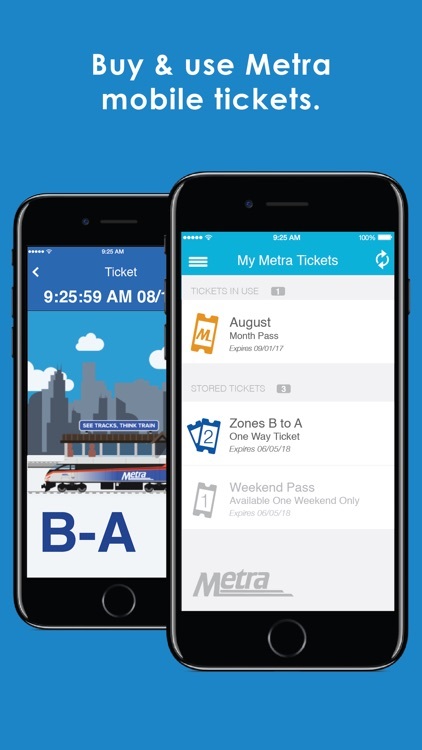 • Buy and use Metra mobile tickets to ride any Metra train. 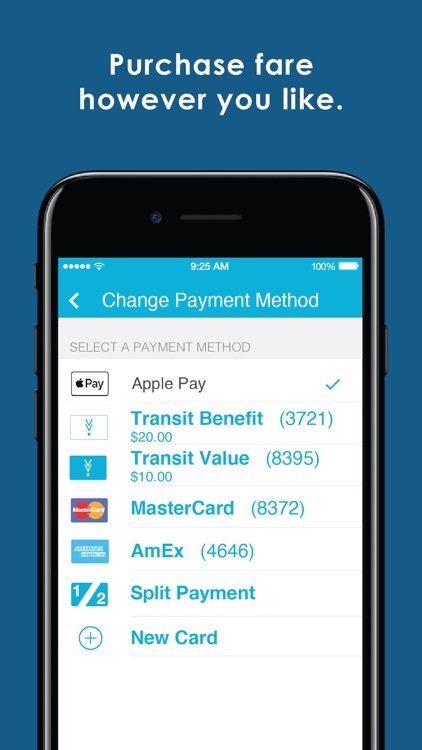 • Use transit value you've loaded to buy a Metra ticket. 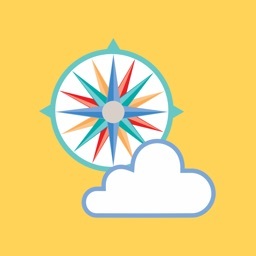 • Get real-time account notifications so you know when it's time to load more fare or buy more tickets. 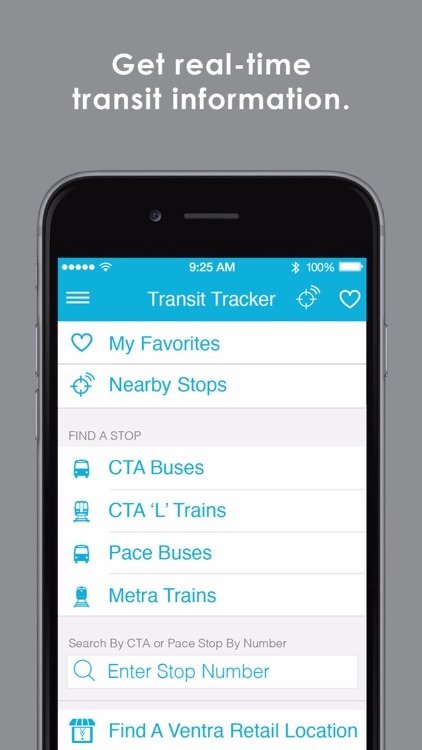 • Get real-time arrival/departure information from CTA, Metra and Pace all in one app—by picking a stop, using favorites or looking at service near where you're standing.